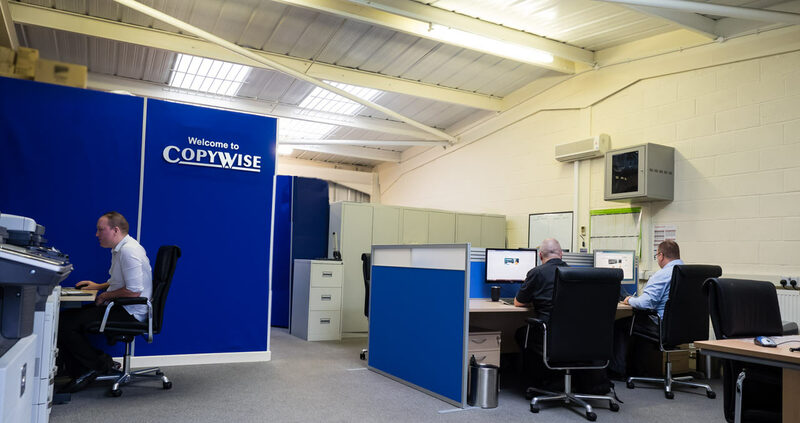 Established in 1992 Copywise has steadily grown into one of the leading authorised SHARP suppliers in the Black Country and Birmingham area. We have a large diverse customer base ranging from small businesses to multi-national organizations. Our customers benefit from our vast experience and technical knowledge, enabling us to provide the latest document solutions and services. We pride ourselves on total support, ensuring same day service from our friendly, personable engineers. We use only Sharp genuine products and parts, this secures the best quality and performance. Our engineers carry full stock at all times and we also provide a pro-active service for improved efficiency, including spare toners. Customer care is paramount and is our top priority. We strive to meet all our clients' needs so they are safe in the knowledge that they are dealing with an ethical and reliable supplier. Our rental/service agreements are customer-friendly and have clear and precise terms, including a unique money back guarantee. All calls are answered directly (no call centre) to ensure a rapid response. We provide on-site training free of charge throughout the life of the equipment. We fully appreciate that customers need to know the basics and be able to navigate more complex techniques. The CopyWise team will help you to maximise effectiveness of your Sharp MFP and software. Copywise are an exclusive supplier of Sharp document solutions. Sharp have a worldwide reputation for manufacturing state of the art equipment at affordable prices. For years Sharp document products and solutions have been earning high praise and prestigious awards from leading MFP testing organisations. For Sharp this represents more than just an accumulation of accolades, it means that trusted industry experts as well as customers recognise that the remarkable innovation, user-friendly design, outstanding reliability, unsurpassed security and boundless expandability of Sharp digital MFPs and copier/printers truly exemplify the company’s unwaivering commitment to quality and excellence.